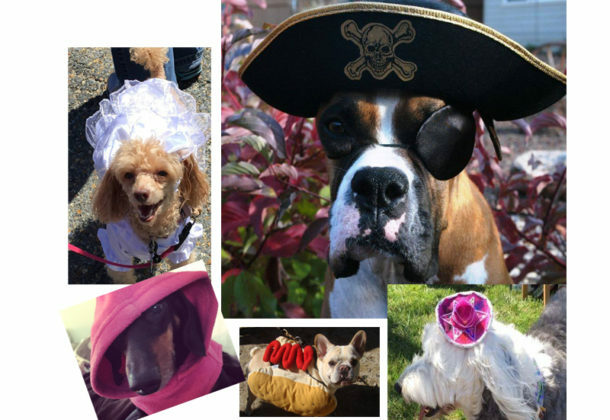 Returning this year to the Lex Park ArtsParks Cherry Blossom Festival will be the popular dog costume parade. Bring Fido in his favorite outfit. The festival will begin at noon Sunday, April 8. If the weather is just right, a couple hundred cherry trees could be in full bloom. Sponsored by St. Mary’s Community Development Corporation, the festival of music, dance, art for sale, and art for participation will stretch down Coral Place from Tulagi Place to Rennell Avenue. The Great Mills High School Marching Band will starts things off, entering the park from the US Colored Troops Memorial entrance and marching up Coral Drive through the park. Get a free Frisbee while supplies last. The festival is free to attend. Music and other entertainment will be performed all day. Tickets for activities are sold for $1 each and various activities will charge between one and 10 tickets to participate. Vendors at the festival do not accept tickets for their food or wares. In addition to favorite returning entertainments from last year – disc golf demonstrations, and totem mosaics – there will be more music, more dancing, more art activities, and even some sword play. Also, launching at the Cherry Blossom Festival – 2018, is a Lexington Manor (aka Flattops) and Carver Heights neighborhood genealogy initiative sponsored by the Community Development Corporation. Everyone who has ever lived in these neighborhoods is sought for inclusion! Artists and performers interested in a vendor, performance, or activity spot at the Cherry Blossom Festival – 2018 should contact Carly Stoliker at cgstoliker@smcm.edu as soon as possible. The same goes for interested food, and non-art vendors, as well as community organizations interested in having a table at the festival. To leave a voicemail, call 301-863-7700. The Development Corporation, in collaboration with St. Mary’s County government, seeks to develop long-term support and greater use of this local park land. Last year’s Lex Park ArtsPark Cherry Blossom Festival drew 750 visitors. The festival committee is preparing for larger crowds this year. The Cherry Blossom Festival Committee represents many of the ArtsPark’s partners, including the Southern Maryland Animal Welfare League, St. Mary’s College of Maryland, St. Mary’s Arts Council, Unified Committee for African American Contributions, Three Notch Theatre, Southern Maryland Disc Golf Association, St. Mary’s County Government, Pax River NAS, and St. Mary’s Community Development Corporation. For regular updates on the ArtsPark and Cherry Blossom festival, please visit and like the ArtsPark Facebook page.